Meditation has made a big leap in popularity lately. It’s been getting more and more coverage on national publications, as well as more and more attention from clinical researchers. While the vast majority of this coverage is positive, a lot of potential meditators are still walking around with some preconceived notions about meditation. Let’s dispel some of these misconceptions once and for all. This is a big one. It’s also very common. You hear stories about people who wander off into the forest to meditate for 10 years. Or the “Monk Who Gave Up His Ferrari” who give away millions and went to meditate in the Himalayas. The truth is, you can start benefiting from meditation from Day 1. You don’t need to do it for years, or dedicate your life to it. It’s just like how you can benefit from running without years of practice, and without becoming a marathon runner. It doesn’t need to be a life path unless you want it to be. Many people think meditation is all about creating a blank mind. They have a hard time doing so, and feel like they’re “bad at” meditation as a result. Instead, meditation is more like setting time aside to guide your mind. It’s a peaceful, yet active process. You’re not sitting back with a blank mind; instead you’re softly moving your mind towards more awareness, consciousness and choice. When you first try on meditation, it might seem like it takes too much time. How can you set aside 10, 20 or even 30 minutes a day, when it seems like there’s no time in your day to begin with? Yet if you really give it a try, you might find that meditation actually seems to add time to your day. This happens because you’ll have more control over your mind and spend less time on distracting activities. You’ll feel more energized and rejuvenated, allowing you to tackle your daily tasks with more gusto. Plus, you can start meditating with just 2 or 5 minutes a day. Then only raise the time once you start seeing the benefits in your life. It’s true that meditation is often practiced by various spiritual traditions. That said, meditation itself is non-sectarian, non-religious and non-theistic. It’s basically a mental exercise that has been tested by clinical science time and time again. 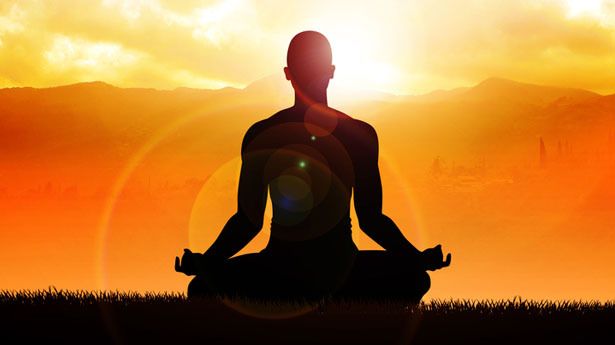 Researchers have proven meditation’s many benefits on a wide range of different patients. PTSD sufferers, high blood pressure, ADHD patients and even cancer patients have experienced improvements from meditation. New research in the field of epigenetics is even showing that meditation can affect gene expression. In short, meditation is a powerful tool for anyone with a human mind and body, no matter what your spiritual views. It’s no secret that meditation can help reduce stress. In fact, it’s one of the first things people notice when they start meditating regularly. It’s perhaps meditation’s most widely published benefit. Yet meditation is so much more than just stress reduction. It can give you a rare and intimate glimpse into your mind and your self. It gets you in direct contact with life and your day to day experience. It helps improve your physical health. It makes you a better leader, a better communicator and a more productive person all around. These are some of the most common preconceived notions that surround meditation. Hopefully, as meditation gets more and more light in the press, these misconceptions will start to fade away. In the mean time, why not see what meditation’s like for yourself by setting aside a few minutes to practice?